Come and experience the fullness of learning about the land of our inheritance through the most unique program in all of Israel that will change your life forever. Walk through the Bible is a program designed by Hayahad Bible Seminars in conjunction with Jewish Organizations in Israel to bring the most comprehensive 3 week educational pilgrimage to Bible lovers worldwide. We are living in one of the most fantastic times in the history of humanity. To live in the time to see Israel become a nation again after 2520 years of Diaspora and to grow into the nation they are today. The program will be focused on helping those in the nations to understand the Bible from a Hebraic mind set and to also understand how people in ancient times lived physically, culturally, and mentally. We will take the participants on both a thorough and complete physical pilgrimage of the entire land of Israel, and we will also combine this with lectures and teachings on the places we will visit to give a full detailed and comprehensive experience of the Biblical Land of Israel. Our students will be privileged to see everything from archeological sites to many preserved Biblical places. We will examine and analyze lessons that are pertinent to our calling and vocation today, and help each person to better understand the Torah as a daily based guideline to live by. Gen 13:14 And after Lot had separated from him, YAHWEH said to Abram, Now lift up your eyes and look from the place where you are there, look northward and southward and eastward and westward. Gen 13:15 For all the land which you see I will give to you, and to your seed always. The Walk Through the Bible Program is structured to give the believer the most comprehensive pilgrimage ever through the entire land of Israel and to not only see all the Biblical Places of our inheritance but to actually feel the landscape and culture from Biblical times. Every single story in the Bible has meaning for us today, and we will both go to the Biblical sites and also analyze what actually happened at each place and what pertinence does it have for us today. We will travel, as the above scriptures states, to the north, south, east, and west. And in doing so we will visit such sites as Beer Sheva where Abraham dug the well of the oath and started the covenant with Yahweh. We will also visit Samaria where the Tabernacle was in Shiloh for several hundred years, and Mount Gerazim and also be able to see Mount Ebal, the mountains of blessing and cursing. We will visit the land of Dan to the north, and go as far as Caesarea in the west, and the Golan Heights in the east. We will also walk the ancient 1st century Yahshua trail, the very trail our savior walked on. Although we will take buses to most of the places we will visit, we will also be doing a lot of walking on the sites and walking in the very footsteps of our fore-fathers. Can you imagine how it would feel to be in the valley of Elah, the very valley were David fought Goliath and read the story at the very place, seeing the road David came from Bethlehem and all the geological places around the areas that the Bible mentions and continue on to Gat and Ekron and Ashkelon, the very cities of the Philippines where Goliath came from?. Nestled away on the shores of the Sea of Galilee is the campus of "The Walk through the Bible Seminar"
The campus is equipped with rooms with air conditioning and kitchenettes for both those coming as singles as well as married couples, and also larger rooms for those students coming with adult children. All this on a most beautiful setting, full of fruit trees and spectacular flowers, all in a park like setting overlooking the Sea of Galilee; the very water Yahshua our Savior walked on. With a long term curriculum we cannot down play the communal aspect of the program. 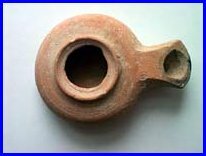 Community life was something that was an every day function in ancient Israel but is mostly foreign to the western world today. We will be focusing on teaching men how to be leaders in their communities and women on how to be modest, holy women, like Sarah of old. Teaching brethren to be disciplined in their calling and respecting others around them will be a major focus of the program. Only those of a humble spirit would benefit from this training. Over the last decade, all of our programs that we have established in Israel have been geared to help people understand the cultural aspect of community life in ancient Israel. It will be an adjustment to many coming from the west, but it will also be a wonderful experience to be able to meet and fellowship with brethren from all over the world. It will be a pleasant surprise to be able to stay in Israel for so long, and mentally understand the facÌ§ade that has been created in the west today. The community aspect of our programs has been one of the most fulfilling and rewarding aspects of our foundation. Many people who have come to the program and met have become lifelong friends and companions. In ancient times people lived in small communities and had to rely on each other , and the people in their community became like their family. Each person had his/her own job to perform and everyone learned not only to love and respect each other, but also to be co- dependent on each person performing their job for the betterment of the whole community. Since the COYJ has been starting Kibbutzim around the world this is a most important part of the program to learn and experience, and also to learn all about how Kibbutz life is, how it started and visit Kibbutzim in Israel. I have been the senior Elder of the COYJ since 1996. I started leading pilgrimages and taking groups to Israel in 1998. I started teaching them from scripture about the land covenants of Israel and how the land of Israel is the very Promised Land to the nation of Israel from time immemorial. We then started to host the three pilgrim feasts of Passover, Shavuot, and Sukkot in Jerusalem starting in 2001, according to Deut. 16:16. We encourage believing pilgrims to come to Jerusalem to represent their given country of origin as a prelude to the millennial Kingdom of Israel and the blessing on the nations (Zech 14) who support them. Currently we have people from around 25 nations present each and every year. The remaining time of the year, we do humanitarian outreach work, visiting our congregations and bringing much needed aid to places like Kenya, Uganda, Philippines, Sudan and Ethiopia and many other places. We have raised funds for everything from helping the homeless, to building soup kitchens and aids hospices. In recent years we have also been blessed to help establish Kibbutzim in several of our international congregations and help to build congregational halls. In 2004, I initiated the Hayahad program in Kibbutz Ginnosar as a non-denominational institution to expose people of all backgrounds to the Hebraic roots of Christianity and to further enhance the ancient Israelite culture to the students. 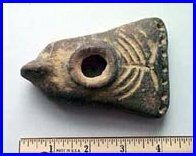 I run the program in conjunction with different Jewish agencies as well as licensed archeologists from the Israel antiquity department. On field trips, we visit archaeological sites that prove the accuracy and authenticity of the Tanach through history and archaeology in connection with the biblical land of Israel to the Jewish people through antiquity. We also teach the importance of the Hebrew language in conjunction with understanding the Tanach and debunk the false concept of replacement theology. In my world travels, I have been blessed to speak to large audiences and even to be able to bear witness to world dignitaries and always teach the message of the nations being blessed for standing with Israel and also the importance of the Israeli nation throughout antiquity. In the summer of 2016 I was blessed to be invited as a delegate at the United Nations in New York to represent and support for the nation of Israel. Isa 61:4 And they shall build old ruins; they shall raise up former desolations; and they shall restore the waste cities, ruins of generations and generations. We will have monthly/bimonthly field trips to the following places. 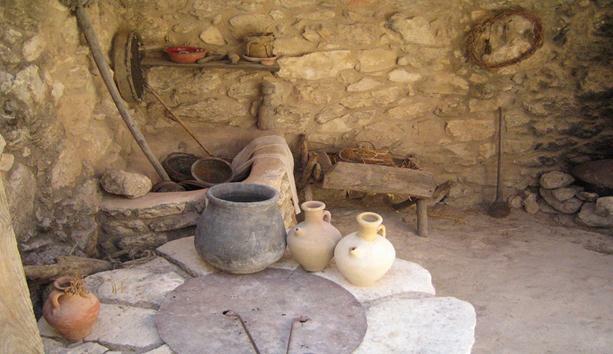 Visit ancient Beer Sheva where Abraham dug the well and started covenant with Yahweh. Visit Samaria and Mount Gerazim and the Samaritan Priests, the Tabernacle at Shiloh, and ancient Gilgal etc. 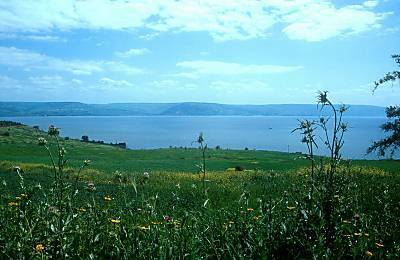 Visit Galilee and walk in the very footsteps that Yahshua did including the 2,000 year old Yahshua trail. Visit Tel Dan, Gamla, Caesarea Philippi as well The Golan Heights, Bet Maachah and many other places in the north. 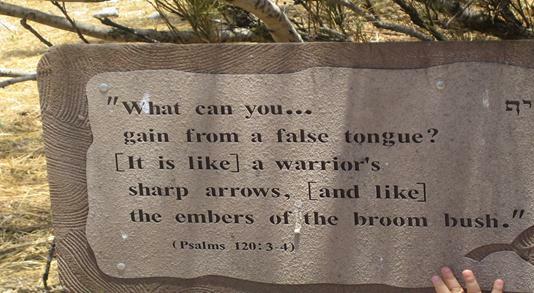 Visit the Biblical Park of Neot Kedumin to better understand the relevance of plants and fruit trees and how they are connected to the physical land of Israel to the bible. Archaeology is a relatively new science of only about 140 years. Through archeology many biblical places and stories have been verified and the integrity of the Bible upheld. Biblical archaeology is the cornerstone to proving to the skeptic the truth of scripture. We plan to have some of the top archaeologists in Israel such as Yossi Stepansky, and others as lecturers at our school. We will have a three-phase archaeology program at Hayahad. Phase one will be a classroom learning of biblical archaeology. Phase two will consist of touring archaeological sites in the land and learning first hand of what life was like to ancient Israelites, and phase three will be possibly participating in an archaeological dig. Our students have also been blessed to visit the Israel Antiquity Department headquarters in Jerusalem and learn firsthand about biblical archaeology and how archaeological discoveries are restored and preserved. We will visit many new archaeological finds in Gilgal (they have found 5 Gilgals), the Jordan Valley, The Golan Heights, and also Jerusalem. 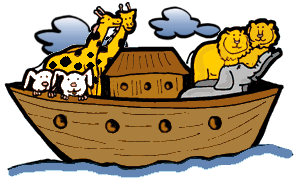 We will also visit biblically minded themed parks that teach about how life was in ancient times and you will learn all about the Olive press, how grain was harvested and preserved as well as biblical herbs and plants and trees. Hebrew is the original language of the bible and also the language that the Tanach was written in. When the captives came back to Jerusalem in the book of Nehemiah, Nehemiah rebuked the people because their children where not speaking Hebrew. Neh 13:24 And their children spoke half in the speech of Ashdod, and to them there was no respecting to speak the Jewish language, but according to the language of each people. We also see that in the last days that the language of Hebrew would be restored. Zep 3:9 For then will I turn to the people a pure language, that they may all call upon the name of YHWH, to serve him with one consent. To this end we will be offering a Biblical Hebrew Class to be able to learn Biblical Hebrew, and to also be able to read the Tanach in Hebrew.